If you're wondering why you can't find the Amazon Video channel on Roku, it's not gone, it's just been renamed. In a recent rebranding move first reported by AFTVnews, Amazon is now calling it's streaming video service Prime Video. 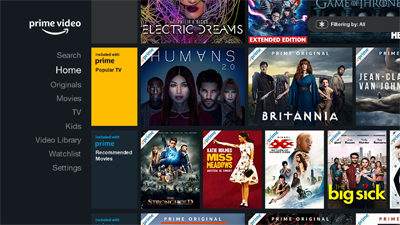 Prior to this rebranding move, Prime Video was part of the bigger Amazon Video library. 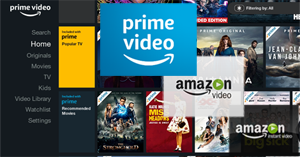 While all Amazon Video content could be rented or purchased, Amazon Prime members received Prime Video titles at no cost as part of the their membership benefits. Despite the name change, Prime Video is still available to all. There have been no changes to Amazon's streaming service other than the name change, and that applies to the Prime Video Roku channel as well. Prime members still have access to all the same movies and TV shows at no additional cost, and non-subscribers can still rent or purchase videos. This isn't the first rebranding of Amazon's streaming video service. Long-time Roku users may recall that Amazon's Roku channel was originally called Amazon Instant Video before being renamed Amazon Video and now Prime Video. Click here for more information on Prime Video, or to sign up for a free 30-day no-risk trial.